As sport becomes more hi-tech, sportswear does too. We have become more demanding, opting for sportswear that best accommodates our needs and boosts our performance. Whatâ€™s more, the very nature of sportswear has changed in some cases. Over time, we have moved from clothing created solely for practical purposes, to clothing that is also aesthetically pleasing â€“sportswear is becoming a fashion style in its own right. But how exactly has sportswear progressed over the years? Well, youâ€™re about to find out. To begin with, sportswear was scarcely different to other fashion trends of the time. 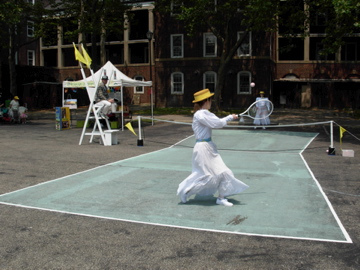 When women played tennis in the 1900s; they were required to do it in long skirts, hats and corsets. However, as we moved into the 20th century, ladies shortened their skirts, brought in sports bras and lost the hats, bidding farewell to their constrictive sportswear. Despite this change, it was not until the late 1900s that real progress was made. Following the invention of Spandexâ€™s in 1959, sportswear became stronger and more flexible allowing for more movement. And in turn, we began to develop materials that were more durable and designed for the needs of specific sports. In the 1980s leotards, legwarmers and oversized sweatshirts dominated the trends, revolutionising the face of fashion. Sportswear was no longer kept for the gym and brightly coloured spandex suits and other traditionally sport-associated clothing were being worn on a daily basis. Even if their owners had never stepped foot in a gym (nor ever intended to). Whilst this specific 80s trend has died out, sportswear as a trend does still remain. Vogue even features regular articles following its progression. In what seems like the perfect blend of practical thinking and the desire to look good, Champion created the Shaper Bra. In 2000, Champion responded to feedback from women, saying that they felt sports bras flattened the bust too much and that they wanted a bra which was practical but embraced their feminine shapes: the Shaper Bra was born. This breast firming bra is designed to emphasise the bust, whilst offering all the support your body needs. Technology has played a crucial role in the evolution of sportswear. No longer do we want clothing for specific purposes, we want clothing that will suit us in all hours of the day, in appearance and purpose. Through research, materials are being developed to cater to all our needs, adapting to our changing body processes throughout the day. One such material is seen in the Nike Pro TurboSpeed Suitâ€™s DRI-FIT fabric, used in the design of the 2012 Olympic athletesâ€™ sportswear. These suits are designed to boost an athleteâ€™s speed by .043seconds/100m, making the difference between them being on the winnerâ€™s podium or not! Whatâ€™s more, this sportswear wasnâ€™t just innovative; it was eco-friendly, made from 13 plastic bottles per suit. Particularly for runners, shoewear is incredibly important. And often (well, in my experience), running shoes can act as a burden, weighing heavily on your feet as you cover greater distances. However, as sportswear has been evolving, shoewear has most definitely not been neglected. In July this year Nike launched a new innovative product named Free Flyknit, a shoe designed to act as a second skin. Whilst the material used is a common one, polyester yarn, it is through the variation of stitching and structure that performance has been enhanced. 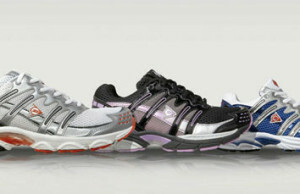 Keeping the shoe feather-light, formfitting, and as a result, boosting performance. It is apparent that sportswear is continually evolving. So long as there is a passion for sport, there will be a need for sportswear to keep up with the athletes. And even if this passion dies, sportswear has come to exist as a fashion trend as well. Do you know of any additional innovative sportswear? Would you recommend it? Comment Below! Do Social Sports Help You Lose Weight Faster? Gavin Harvey is a personal trainer with a passion for travel. When he's not busy touring the world, he can be found in the gym or at home with his partner and two cats. You can keep up with his latest adventures by following him on twitter.